Divers are responsible for all rental items. Sercurity deposit is required on all rentals. Certification Card or a Student list signed by a certified Instructor is required for all equipment rentals. Rental Rates Cost Less at Divers Supply. 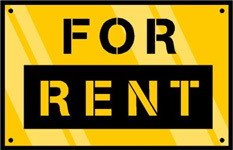 It's always easy to shop for Rental Rates at Divers Supply. We have the best prices on Rental Rates at Divers supply.